Former screen actress Joan Leslie, one of the last surviving stars of Hollywood’s Golden Age and highly popular during the wartime years, passed away in Los Angeles at age 90 on October 12, 2015. I first met Joan Leslie in 1999 at her Los Feliz home, in the hills near Griffith Park, after being introduced to her by her two-time film director Vincent Sherman (1906-2006). She talked about her early years in films, stardom, her co-stars, her directors and about her happy life after films. At an incredibly young age of 15, Miss Leslie appeared in her breakthrough film, the film noir classic “High Sierra” (1941, the first film where she was credited as Joan Leslie) starring Ida Lupino and Humphrey Bogart, with Bogart playing ‘Mad Dog’ Roy Earle, a tough guy who falls in love with Velma, a seemingly sweet and naïve teenager, a character portrayed by Miss Leslie. As Roy Earle is about to find out later, to his own dismay, she is not as naïve as he first thought she was. Although only a supporting role in Raoul Walsh’s screen classic, Velma turned out to be a wonderful character for the young and ambitious Joan Leslie (b. Joan Brodel in Detroit, Michigan on January 26, 1925) who started her show business career in the 1930s with her elder sisters Betty and Mary Brodel as a vaudeville trio, an act known as The Brodel Sisters, until she caught the attention of an MGM talent scout and was given a six month contract at the studio, earning her $ 200 a week, with George Cukor’s “Camille” (1937) as her screen debut. Do you still remember appearing in “Camille”? Yes, I do. Playing Robert Taylor’s little sister opposite Greta Garbo in “Camille” – I was only 11 – it was like a dream come true. I always wanted to be in pictures, I hoped to play Joan of Arc one day. It was remarkable the way MGM spent money to make it perfect. I was a minor, for the children they had a schoolhouse on the lot with a teacher under contract. I was in school with Mickey Rooney and Freddie Bartholomew. You appeared in films for nearly two decades and in 1950 you married William Caldwell, an eminent Los Angeles obstetrician. Later you almost entirely gave up acting altogether after your twin girls Patrice and Ellen were born. Was that an easy decision to make? When I married, I knew that would be the most important thing in my life. The only way to make a successful marriage, is to put it first, you have to invest yourself into marriage. And if it’s with the right person, it’s very much worth it. You have to close a door before you can open another one, sometimes it’s hard to close that door. When you had a colorful life as an actress, it’s not easy to say that, and to mean it as well – I had a very colorful life – there’s nothing quite like it. But my husband was a doctor, that’s a very engrossing field as well, a very meaningful part of life in the world today. I’m so proud of him and I respect him so much, and he respects me for what I have accomplished in my career. I stopped making films altogether when my two girls, my twins, were born. When they went to school, I had a little bit more free time and I did some television and commercials and a picture now and then, but I’m saying no to everything now. Nobody is asking me to get back to work, and I don’t think there’s anything I’d really like to do. I’ve always liked to play a certain kind of part as I was a certain kind of person, and I don’t find that very much anymore. The business has changed so much. Looking back, “High Sierra” certainly became one of your landmark films, didn’t it? Both Gary Cooper and James Cagney won Academy Awards as Best Actor for their roles, didn’t they? Yes, they did. I was never nominated, but I don’t feel I did anything up that calibre. And although Warner Bros. certainly had plans with me, times were changing. Television was coming in, that was a big threat. 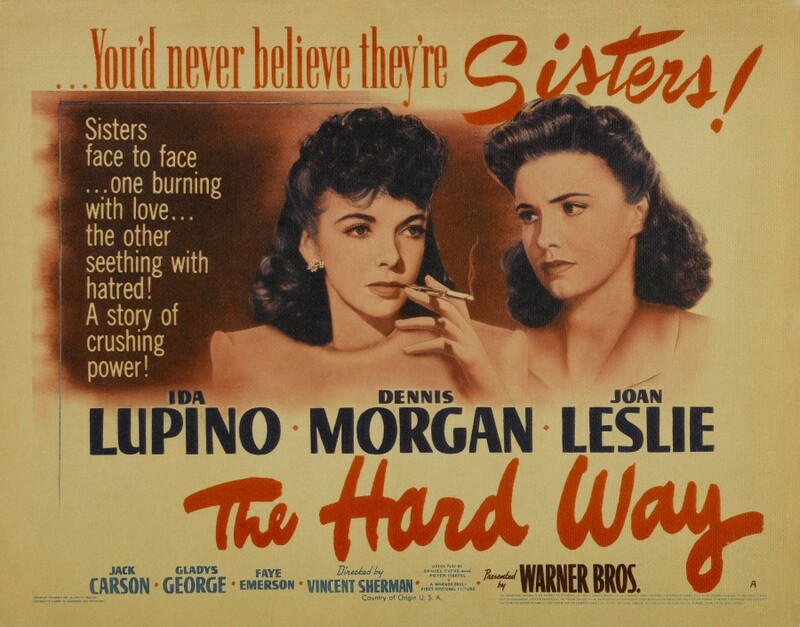 And after “High Sierra,” I was so lucky to be reunited with Ida Lupino in Vincent Sherman’s fascinating “The Hard Way” , telling the gripping story of Ida Lupino who pushes me in a show business career. I played her younger sister. That was one of your best films ever, wasn’t it? Powerful story, beautifully acted and directed. And you were only 17 at the time? [Director] Vincent Sherman was such a surprising man, so making that film was an enormous delight. He had a very youthful attitude. I had made a handful of pictures by then, not all with overly mature directors, but they all seemed rather severe, awesome, stately. But to me, Vincent had a new approach on everything, he was enthusiastic about the picture and also about me being in it: that’s an attitude he brought to the set every day. And that makes it very delightful to work, instead of hearing things like ‘Well, let’s see how we can get this on film,’ you know. He was interested in the dramatic aspects of the story and putting it on interestingly, and that was very fascinating. I was pleased to get the part, which was very interesting, it showed growth and change, so to me it was a treasured role. 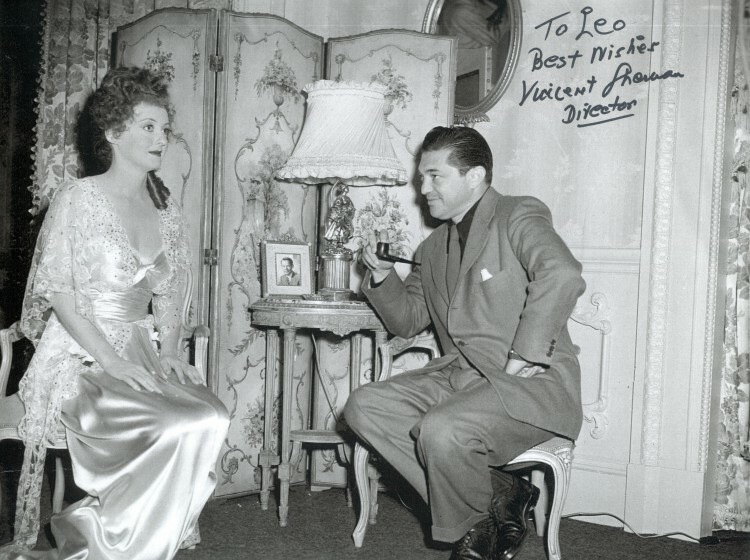 Working with Ida [Lupino] was also a joy, she was such a wonderful performer, and we all responded to Vincent. At the end of a take, he didn’t have to say, ‘Very good, he would say Print it!’ But he kept that smile that he gets, thinking ‘I got what I wanted,’ which was very nice. Two of your next pictures turned out to be instrumental in promoting to buy war bonds, “Thank Your Lucky Stars”  and “Hollywood Canteen” , both all-star pictures, while you also worked at the Hollywood Canteen to entertain the soldiers. 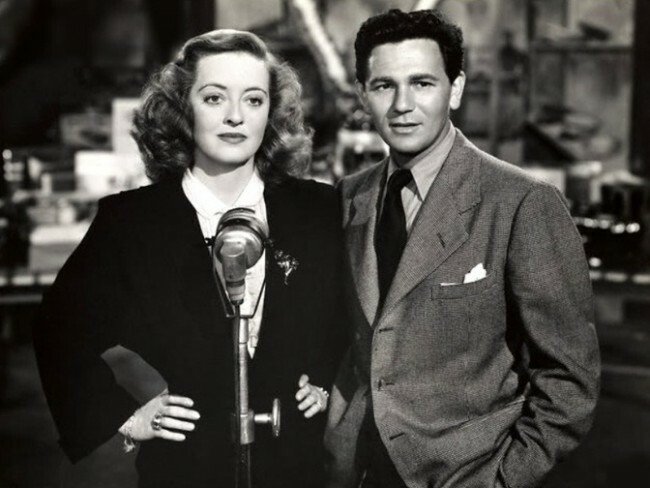 The idea of the Canteen was conceived by Bette Davis and John Garfield and it was supported by the entire film industry, wasn’t it? That’s right. 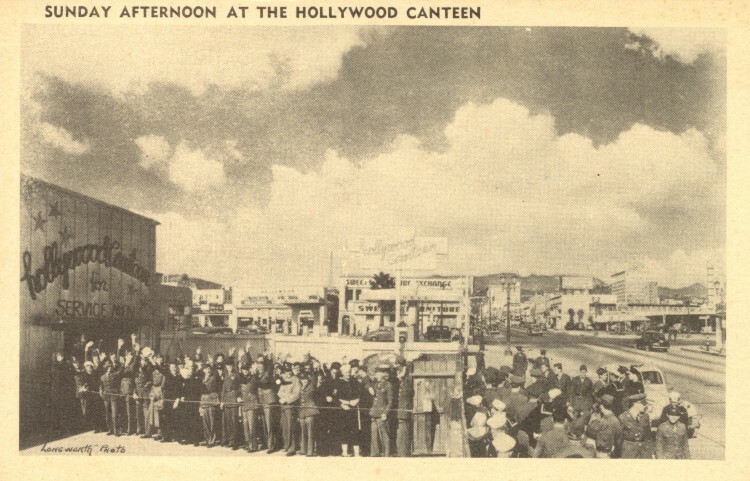 I worked at the Hollywood Canteen every Tuesday. Each studio had one night of the week, Warner Bros. took Tuesdays. Bette Davis was very often down there, you saw Bob Hope, Bing Crosby, Marlène Dietrich, they all dropped in, they did their act and they’d sit around and talk with the boys. We’d pass out sandwiches, bring coffee, do the dishes or sometimes just talk. Quite often, we danced with the soldiers. When I was working on “Rhapsody in Blue” , I had some very dramatic hairdos with upswing, going against the way my hair was done usually, and I was dancing once with a boy who’d spin me across the floor. We were having a wonderful time until the pins started to come out, they dropped all over the floor and my hair was coming down (laughs). We had a lot of fun, the boys laughed, they were scattered all around to pick up the hair pins and helping to put myself together again. My sisters would come with me, they helped to entertain, it was an all-out effort, we were proud and very happy to do that. Was the atmosphere in the actual Hollywood Canteen the same as in the film? I think better, although now, I don’t remember exactly how it was in the picture. The Canteen was not a fancy room, it was just a café made over, a very plain structure. Sometimes the boys would be lined up for blocks. Then they made an announcement, ‘You guys have all been in here an hour and a half now, so you go on out the back door because we have to bring in some more fellows tonight,’ or something like that. It also happened that I was asked to come over on other nights if they didn’t have enough girls, or to have some pictures taken, or for autographs. Bette was very persuasive, she got Warner Bros. to donate a lot of money to the Canteen, including from the premieres of films. She was the driving force behind it, she co-chaired it together with John Garfield. The film “Hollywood Canteen” had an impressive cast with a lot of stars playing themselves or appearing in cameos and walk-ons, with Robert Hutton as a G.I. who is on sick leave and can spend a few nights at the Canteen before returning to active duty. When he enters, he happens to be the millionth guest to enjoy the hospitality of the Canteen, earning him a prize, which is a date with you. He could have anything that he possibly wanted in Hollywood. In the plot he only wants a date with Joan Leslie and so, there’s a scene when Bette calls me on the phone and says, ‘Joan, will you come down to the Canteen, I got a special favor to ask you.’ So I come over and she says, ‘Joan, I’m so glad you could come, there’s a boy here, he’s the millionth guest of the Canteen and he could have anything he wants, but all he wants is a date with you. Will you do it?’ That was her line, and I was supposed to say, ‘Oh sure, where is he? What are we going to go,’ and things like that. But she was having trouble concentrating, she was also working on another picture with a very dramatic and demanding role. So at one point, she said, ‘Oh, cut! This is terrible. I just can’t play myself, I don’t know how, I can’t be natural playing myself! But if you give me a cigarette or a drink or a gun, I’ll play anything you want me to!’ (Laughs.) She had a great sense of humor, even about herself. You often worked with prestigious leading co-stars, including Humphrey Bogart, James Cagney, Gary Cooper, Henry Fonda, Olivia de Havilland and Fred Astaire. How were you treated on the set? In most cases, people were very supportive and the directors were very good. But I was so much younger than everybody else that I didn’t have the advantage of feeling like a chum. As I look back, it amazes me that neither was I in awe, I never said, ‘I can’t do this because this person is so famous and so wonderful, I’ll be scared to death.’ No, once I got up there and did the scene, I had every right to be there and I had to do the best I could because they were doing the best they could too. When you talk about working with the best, I’ll always remember Jimmy Cagney. What a creative, dynamic person he was. 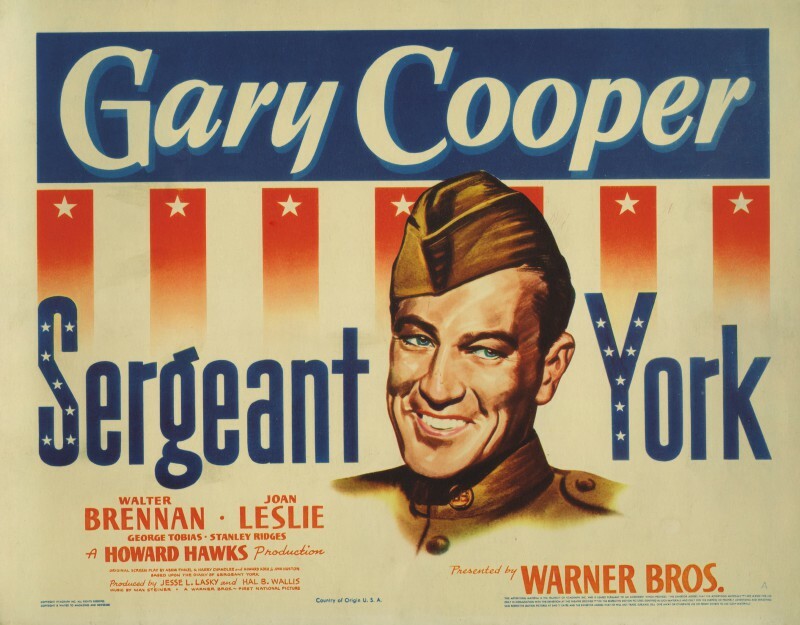 Howard Hawks, who directed “Sergeant York”, was also very good. He had ways of telling you how to sit, how to look, what you should be emphasizing; we rehearsed and rehearsed, until we said, ‘Don’t you think we should start making some takes?’ I think the production department must have gone mad, because if you didn’t have a take already in the can as they say, by 9:15, they’d say, ‘Well, what’s wrong? What’s holding you up?’ But nobody could say that to Howard Hawks: if he didn’t want to shoot anything till the afternoon, that would be fine. Cooper would do anything Hawks said, but he knew his craft and his capabilities too. Working with Michael Curtiz on “Yankee Doodle Dandy” was really wonderful, he was so happy with everything. With Jimmy Cagney and the whole creative atmosphere, that made it very easy. Another Curtiz film however, called “This Is the Army” , that was a terror; the script was non-existent, it was just a little plot thrown together to keep the musical numbers in a sort of a routine, and even though he had character actors like George Murphy and Ronald Reagan, it was very shallow. He was yelling and screaming at everyone, very critical and very tough on everybody. By the time you made the Gershwin biography “Rhapsody in Blue”  and appeared in Busby Berkeley’s “Cinderella Jones” , both with Robert Alda, television was already coming in. What was the effect of that? They started to make a lot of cheaper films and I was very unhappy with that. The last couple of pictures I had made, like “Cinderella Jones”, were terrible. I know Robert Alda didn’t like it, but Busby Berkeley was directing it and there we were – all under contract. It’s a big decision to say no to a big studio. But as TV was there already, they didn’t know what to do, they didn’t know what was coming next. Television in your home would be a very attractive competition, so they had either to make the pictures cheaper, or make them better, something they never had to think of before. In the end, they adjusted, of course. What about the studio contracts at the time? Sometimes they’d tear up your contract and give you better terms, but they still had all the rights to say, ‘You’re through, and we have no obligation to you’ and then you’d be out there in the cold.’ So I decided to sue Warner Bros. for freedom from my contract. The main reason why I did this, was that I wanted to have a say about the roles I had. It was a very risky thing to do and I don’t think I would do it again, because there are other ways to fight their power and their strength over you. But it was a sad time: I did alienate myself, I had to alienate myself from everyone at Warner Bros., I was not supposed to contact anybody, cause I was suing them on a basis that a contract you sign when you are a minor, needs to be reaffirmed once you become a major at 21: maybe you don’t want to be under contract anymore, maybe someone talked you into it as a minor – that’s the premise. Of course, I was happy to be under contract, but nevertheless, under some circumstances I should have had the right to reconsider at 21. However, they had a whole body of attorneys and they won a round, then I’d appeal and I won a round, and then finally it went to the District Court of Appeal and they won the decision 5 to 4. This decision was made on the basis that most contracts that are signed with a minor, can be re-examined when you become 21, except in three categories: if you are an actor/actress, a jockey or a prize-fighter (laughs). The impact of trying to renegotiate your contract on your career was huge, wasn’t it? Were you sort of blacklisted? You know, after appearing in my latest films for Warner Bros., “Janie Gets Married” [1946, a sequel to “Janie” made two years before with Joyce Reynolds in the title role] and “Two Guys from Milwaukee” [1946, with Humphrey Bogart and Lauren Bacall in cameos], I was ranked number one in the ‘Future Star’ poll of motion picture exhibitors [Yvonne De Carlo was number 9, Robert Mitchum ranked number 10]. So at that time, the future was still bright. I started working for various studios on a free-lance basis and made films such as Nicholas Ray’s “Born to Be Bad” , with Joan Fontaine playing an unscrupulous woman who got what she wanted by manipulating everyone, including the character I played. But then I made films at Republic, an indication that I started to appear in less rewarding films than the ones I was involved in in the 1940s. It became difficult for me to get leading roles in first-rate pictures and years later, I speculated that the ‘gentleman’s agreement’ among the industry’s executives that prevented me from working at other studios during and after the trial, definitely had its effect. They were made to think that I would be ‘difficult to work with… a troublemaker’. But in the end, it might not have made a difference. After my marriage to William Caldwell in 1950 and the birth of our daughters, I had other goals in my life: instead of being a screen actress, I wanted to be a full-time mother for our children. May I ask you what you are doing right now? Right now, I’m in the process of refiling all my career scripts and contracts and as I look over all the stills I got, I feel I could have done a little bit more, maybe I could have gotten around to playing Joan of Arc after all (laughs), but I’m really happy where I am now. It’s a very tough business, very competitive. I certainly wasn’t aware of that when I started at Warner Bros. at age 15. People were very nice to me. I honestly think if they didn’t handle me carefully, I might have burst into tears, or run of the set or something because I was so young. They were getting the quality from me that they wanted: the young, innocent and sweet girl-next-door. It was during the war and that’s what they wanted to project on the screen. Sometimes they refer to me as ‘the ever sweet Joan Leslie’, which of course I don’t particularly like, I was merely being myself in the 1940s, that’s what it really was. It’s a little too sweet for now, that’s for sure (laughs). But it’s what the studio wanted then. How would you like to be remembered in film encyclopedias? Certainly more than just ‘sweet’? Well, I hope so. Vincent Sherman once told me, ‘You had so much talent, you’ve been so surprising to me that at your age, you could do what you did.’ Perhaps my career wasn’t handled quite right or in a way that it could flower as it might have, but I couldn’t wish any more than that, I’m a very modest person. I saw “Born to be Bad” the other day and I liked it very much, it’s the kind of thing I should have done more, so at one point, I was beginning to look more like a secure, mature American woman, not just the little girl-next-door, but one who could handle a profession, a romantic entanglement and make it interesting too. Posted in Actress, Film Talk and tagged Academy Award, Alice in Movieland, Bette Davis, Betty Brodel, Bing Crosby, Bob Hope, Born to Be Bad, Busby Berkeley, Camille, Cinderella Jones, Ellen Caldwell, Fred Astaire, Freddie Bartholomew, Gary Cooper, George Cukor, George Gershwin, George Murphy, Ginger Rogers, Greta Garbo, Henry Fonda, High Sierra, Hollywood Canteen, Howard Hawks, Humphrey Bogart, Ida Lupino, James Cagney, Janie, Janie Gets Married, Joan Brodel, Joan Fontaine, Joan Leslie, John Garfield, Joyce Reynolds, Lauren Bacall, Marlène Dietrich, Mary Brodel, MGM, Michael Curtiz, Mickey Rooney, Nicholas Ray, Olivia de Havilland, Patrice Caldwell, Raoul Walsh, Republic, Rhapsody in Blue, Robert Alda, Robert Hutton, Robert Mitchum, Robert Taylor, Ronald Reagan, Sergeant York, Thank Your Lucky Stars, The Great Mr. Nobody, The Hard Way, The Sky Is the Limit, The Wagons Roll at Night, This Is the Army, Two Guys from Milwaukee, Vincent Sherman, Warner Bros., William Caldwell, Yankee Doodle Dandy, Yvonne De Carlo. Bookmark the permalink.